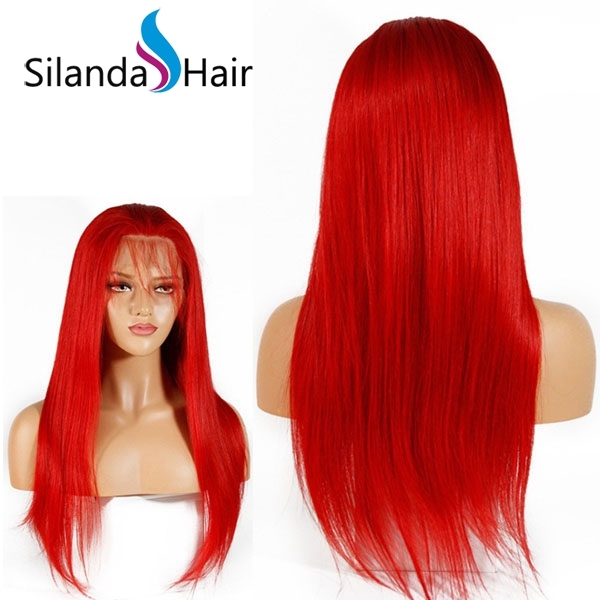 Silanda Hair offers high quality human hair wigs! Retailing, wholesale, and customized order are all warmly welcomed. Hand-tied wigs and machine made wigs are worlds apart in construction and cost. 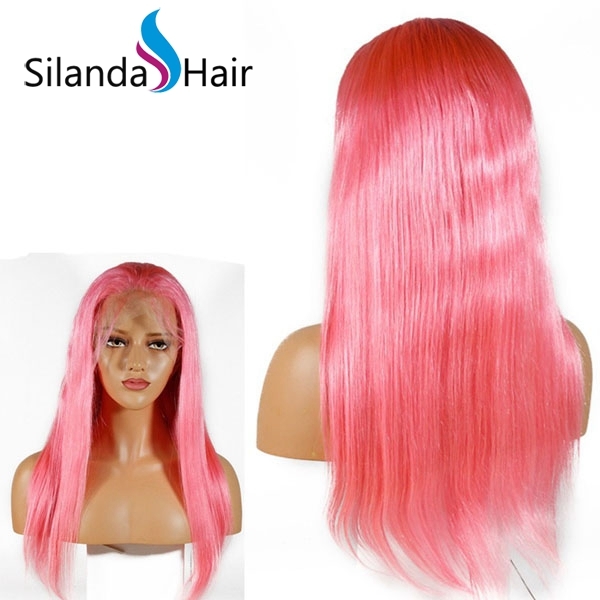 If you're looking for a no frills low cost wig, machine made wigs are always the way to go. They usually have a set style and are limited in their range. However, if you require the absolute most natural looking and high performing wig on the market hand-tied wigs will deliver. Hand tied wigs are much lighter, often weighing about two ounces or less, and uses a soft lace based cap. Each human hair is hand ventilated and/or sewn into a lightweight, mesh cap by a wig maker. This painstaking process often takes 80-100 hours per wig. This creates an awesome natural look and allows for unlimited style versatility, such as changing the position of a part, putting your hair in an up-do or ponytail.Construction is labor intensive which makes a hand-tied wig more expensive than its machine-made counterpart. However, the comfort factor makes a hand-tied wig the better choice for patients going through chemotherapy who have sensitive scalps. Hand-tied lace wigs are so discrete someone can run their hands through your hair and they would never know you're wearing a wig. A machine made wig will most likely always cost less because they are mass produced in a short period of time. Machine made wigs are constructed using thick caps which create the appearance of more lift and volume to the hair. However, if a person has a sensitive scalp, a thicker cap can create irritation problems.There are also wigs available with a combo of both manufacturing processes. For example, a lace front wig is hand tied along the hairline in front to create a natural appearance with limited style versatility. Most of the wig, however, is machine manufactured. For women who have lost some, but not all of their hair often a machine made wig may be a better option. The existing hair can be pulled through the wefting to help keep the wig in place as well as give the hair underneath a place to go. Otherwise, it would have to be pulled up and hidden under the cap potentially creating a visible lump. With that said, a machine made wig or partially machine-made wig can be a great economical option and can look just as natural as hand tied wig. What is Pre Plucked Hair Wigs? Pre plucked lace wigs are wigs that have already been given a natural hairline. Some lace wigs come rather bulky and unnatural looking around the edges and too dense in the top of the wig making it look wiggy. With the pre plucked hairline you will have a more natural flawless looking hairline with lots of baby hair. This will make your unit look even more realistic when applied with minimal effort. 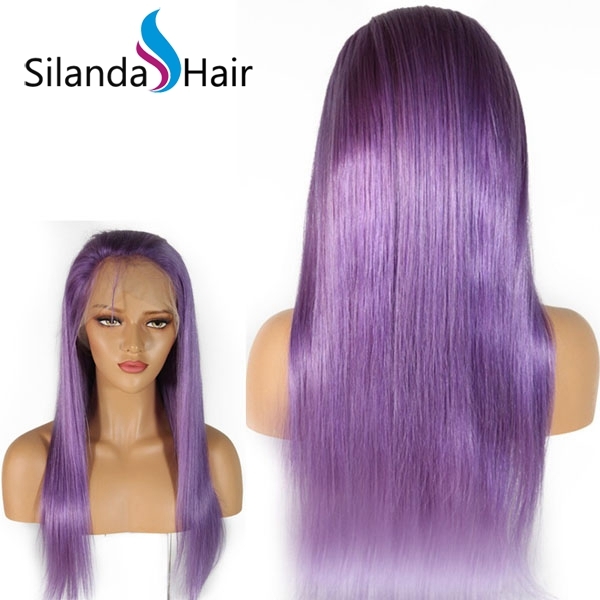 Silanda Hair --- Your Trusted Supplier of Human Hair Products! What is Virgin Human Hair? Virgin human hair is chemically unprocessed human hair, which is collected from a single donor. The virgin hair is hair that has not been altered by dyes, perms, bleaches or harsh washes. It is considered to be the finest quality of human hair because the cuticles are kept intact and not stripped. Virgin hair is the highest quality human hair available on the market. This hair is expensive, yet it does last for a longer time than remy hair, making it worth the investment. What is the Difference Between Indian and Brazilian Hair? Indian hair is the most commonly available hair in the markets. This is because of the fact that Indians donate their hairs for religious purposes. Indian hairs are mostly natural dark brown and very fine in texture. It is not very shiny which is why it blends easily with most of the European and American hair types. Another reason why Indian hair blends with European hair is because the cuticles of these hairs are less tangled. Two terms that are used quite often for Indian hair are virgin and remy. Virgin hair is one that means that these hairs are not processed or treated with chemicals. All cuticles are running in one direction in remy hair. Hair extensions made with Indian hair become wavy after drying, giving a very beautiful look to the individual. Also, Indian hair curls and straightens easily making it very workable. Brazilian hair is shiny and silky. It is available in straight, wavy, and curly forms. Hair extensions made of Brazilian hair hold on to their curls for a long time period. These hairs are the most sought after in the market today. Brazilian hair is very hot and dense. They gel with most European and American textures. There is a lot of body and bounce in Brazilian hair, and it has a natural shine. • Brazilian hair, in general, is shinier and silkier than Indian hair. • Indian hair is mostly dark brown. • Indian hair is very workable and holds on to curls, but Brazilian hair holds on to curls much longer. • Brazilian hair is mostly black though it is also available in dark brown color. • Brazilian hair has a higher density than Indian hair. • Brazilian hair gives more bounce than Indian hair when used as hair extension. • The texture of Brazilian hair is a little coarser than Indian hair. • If you are looking for thick and bouncy hair, Brazilian hair is more suitable for hair extensions. • If you are looking for shiny and straight hairs, Indian hair is great. • Brazilian hair withstands humidity better than Indian hair as it frizzes much less when wet. What is the difference between Lace Closure,Lace Frontal Closure and 360 Lace Frontal Closure? Lace closure is much smaller than a frontal. It is usually pretty small and is around 4X4 in size. There are 3 types of Lace Closures; One part(Middle part) Three-Part and Free part (no part). A closure can be placed on the middle or side of your hair in order to make your weave or sew-in look more natural.This allows you the option to have no real hair left out when wearing a full head of weave (People with natural hair you don’t need to retouch). To have a full head sew-in with a closure you would want to purchase 2 or 3 bundles to complete a style. Lace Frontal Closure is larger than a closure and is around 13X4 in size. A full lace frontal will give your sew-in a more natural look. Unlike a closure, you can be more diverse and wear a middle, side, or three part style. There are so many different styles that can be done with a frontal like braids along the front of the head, twists in the front, and much more. This allows you the option to have no real hair left out while having beautiful baby hairs when wearing a full head of weave. To obtain a full sew-in you would need about two bundles with the full frontal to complete a style. 360 frontal closure covers the complete hairline around the entire head. This frontal allows you to wear pretty much any hairstyle. With the 360 frontal, you no longer have to fear to wear the high ponytail that so many people love.You can pretty much wear any type of part in the front of the hair, along with being creative with the back. To do a full sew-in or weave, purchase with the 360 frontal you would only need 1 to 2 bundles of hair. The most obvious difference between a closure and a frontalis their respective sizes. Closures are typically 4 x 4 inches and sit either perfectly in the middle of the crown or can be shifted slightly to the side to achieve a side-part look.While being similar in width (+/- 4 inches), frontals, on the other hand, lay along the hairline across the front of the head, from ear to ear. A new generation of frontals (the 360 frontal), now allows for full hairline coverage around the entire head with space left in the middle for the bundle install. Lace frontals allow for endless versatility, so you can wear any color, curl pattern, cut or style.Closures only cover a portion of your head, so it’s close to impossible to pull your hair back without exposing your tracks.